Two weeks ago, I started a post on an episode of Fringe that dealt with déjà vu. This week, I want to delve into the scientific studies of déjà vu and the implications. I have found that it isn’t simply a glitch in the Matrix. If you’ve read this blog for a few months (or longer), you know that I’m a science geek and lover (and writer) of science fiction. That said, until having watched this episode of Fringe (“The Road Not Taken”) I had never really given much thought to this phenomenon. Now however, I’m giving it a good look. According to one of my favorite websites, HowStuffWorks.com, there are over 40 different theories about what it is and what causes it. There are also several different “types” according to the varying ideas on the cause. Of course according to all of the more serious research there really are just two main categories–Associative and Biological. Associative is usually from our senses–i.e. you hear a song on the radio and all of a sudden you realize that what you are doing is familiar somehow. Biological has to do with medical conditions such as epilepsy causing the déjà vu. Some years ago, research showed that déjà vu and recognition memory had a connection. Recognition memory is essentially your brain’s ability to recollect persons, places and things that we’ve already encountered. According to the experiments, it was found that déjà vu happens when we have an experience where one of our senses triggers a memory of something we’ve already experienced. The two current and previous memories merge and Bob’s your uncle, Fannie’s your aunt you end up with a case of “hey didn’t I already experience this itis?” (cue creepy music). While I prefer Dr. Walter Bishop’s theory (alternate realities bleeding through), I can see how in the real world the above mentioned theory could work. What do you think? Which theory do you prefer? 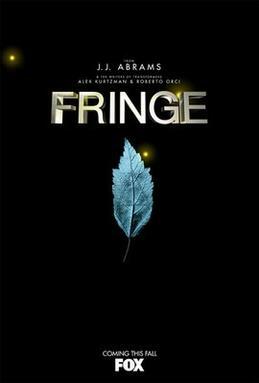 The Fringe theory or the real world theory. Join me next week when we talk about hiding a town full of disfigured people in plain sight. (cue über creepy music).